I made this card with my cricut. I cut the card and mittens from the Winter Wonderland cartridge. I added a piece of silver (frosty) vellum behind the cut out design of the card. The stamp is from the Oh Christmas Puns. and oh how appropriate is this card for this week? Brrrr. 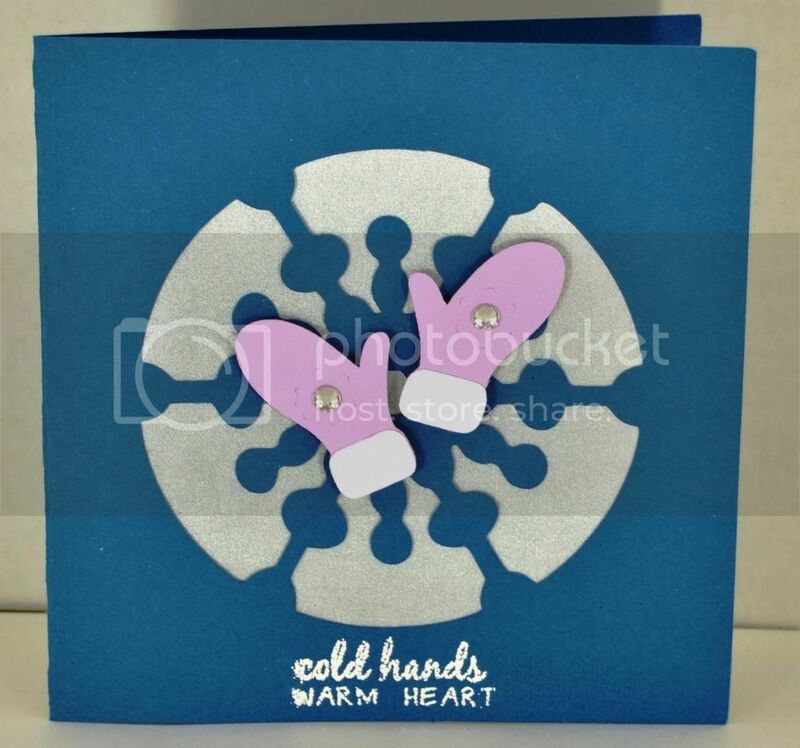 The mittens are up on foam tape and a little jewel completes this simple card. Cardstock is Bazzil. Vellum is Woodware. Ink and embossing powder are Clearsnap. Stamp is, of course, Joy's Life.